This month’s edition of JMM Insights is from Director of Learning and Visitor Experience Ilene Dackman-Alon and Program Manager Trillion Attwood. Missed any previous editions of JMM Insights? You can catch up here! Later this month, the JMM will offer a series of Holocaust-related exhibits and programs. This series will offer glimpses into the personal stories of both loss and survival, inviting our visitors to reflect on the deep and lasting impact of the events on the Holocaust on individual lives and the world in which we live today. The series begins on January 27th, the day designated International Holocaust Remembrance Day by the United Nations. The date marks the anniversary of the 1945 liberation of Auschwitz-Birkenau and is set aside as a day to remember and honor the Jewish victims of the Holocaust and the millions of other victims of Nazism. It is a day to remind the world of the lessons of the Holocaust and a warning to all people of the dangers of hatred, bigotry, racism and prejudice. At 1pm join us for the first of two annual Sadie B. Feldman Family Lectures – Refugees and America: Past, Present and Future with speakers Mark Hetfield, President and CEO of HIAS and Anne Richard, former Assistant Secretary of State under the Obama Administration. This timely conversation will examine immigration in America, past, present and future through a historic lens. On Wednesday night, January 30th at 6:30 pm we will present the second Sadie B. Feldman Family Lecture. Jack Sacco will be discussing his book, Where the Birds Never Sing: The True Story of the 92nd Signal Battalion and the Liberation of Dachau. Participants will hear the harrowing, at times horrifying, and ultimately triumphant tale of an American GI in World War II as seen through the eyes of the author’s father, Joe Sacco — a farm boy from Alabama who landed at Omaha Beach, fought his way through Europe, and liberated the Nazi concentration camp at Dachau. Inescapable: The Life and Legacy of Harry Houdini closes on January 21st. In February, we will kick-off our winter/spring exhibition calendar with the first of two upcoming Exhibits that tell the stories of people seeking escape from the atrocities that followed Hitler and the Nazi regime’s rise to power. Opening on February 3rd the JMM welcomes Jewish Refugees and Shanghai created by the Shanghai Jewish Refugees Museum. The exhibit weaves together the stories of more than two dozen individuals who lived in the Shanghai Jewish ghetto. Shanghai became the temporary home to more than 20,000 Jewish refugees from Germany, Austria and Poland during World War II. The exhibit is on display through March 10th. As a complement to the Shanghai exhibit, we are launching the First Winter Teachers Institute in partnership with Baltimore City Public Schools. The two-day professional development opportunity will be held February 10th & 17th. The first day includes a visit to the Chinese Embassy in Washington D.C., and a visit to the United States Holocaust Memorial Museum to see the exhibition, Americans and the Holocaust. The second day will be held at the JMM, where participants will learn best practices and educational resources from dedicated scholars and educators. Baltimore City teachers will receive AU credit for participation upon completion of an implementation plan. For more information about the Winter Teachers Institute, please do not hesitate to contact Ilene Dackman-Alon via email idackmanalon@jewishmuseummd.org. We are celebrating the exhibit with a Special Members-Only Preview on Saturday, February 2nd with an evening celebrating the cultural exchange of the Shanghai Jewish ghetto. Enjoy Chinese Lion dancers and a String Trio playing Viennese music from a selection of Jewish composers. This is certain to be a special evening, if you haven’t yet reserved your seats, we recommend you do today, places are limited. 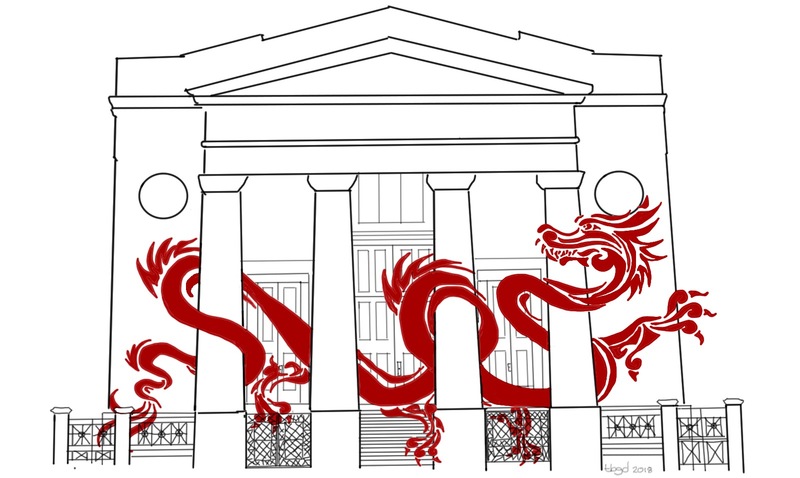 On Opening Day of Jewish Refugees in Shanghai from 11am until 3pm, visitors can try their hand creating a selection of crafts inspired for the Chinese New Year – the Year of the Pig! This is a perfect activity for the whole family right before Super Bowl kickoff. Throughout the exhibit run, we have a series of fascinating lectures. On Sunday, February 10th we welcome Dr. Meredith Oyen for her presentation A Little Vienna in Shanghai. 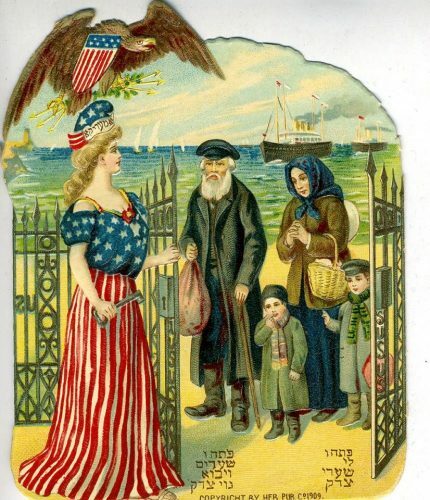 The following week we are joined by Dr. Kathryn Hellerstein, University of Pennsylvania for her presentation China Through Yiddish Eyes, an exciting exploration of Jewish life in China during the interwar period. The following Sunday, February 24th we welcome local survivor Yvonne Daniel, the child of Jewish German parents who fled to Shanghai following Nazi persecution. On March 3rd, Sara Halpern will explore the experiences of Jewish families, with a focus on the youngest members, as she presents, In Their Own Words as Jewish Refugees. We are pleased to present two films in connection with the exhibit. The Maryland premiere of Above the Drowning Seas, on February 21st recounts the story of Ho Feng Shan, the Chinese Consul in Vienna who defied his own government and braved the Gestapo to issue visas to Jewish refugees. On March 7th, Minyan in Kaifeng celebrates the ancient Jewish Chinese community. Finally, on March 10th we close the exhibit with Cantor Robyn Helzner and her unforgettable presentation Kreplach & Dim Sum. 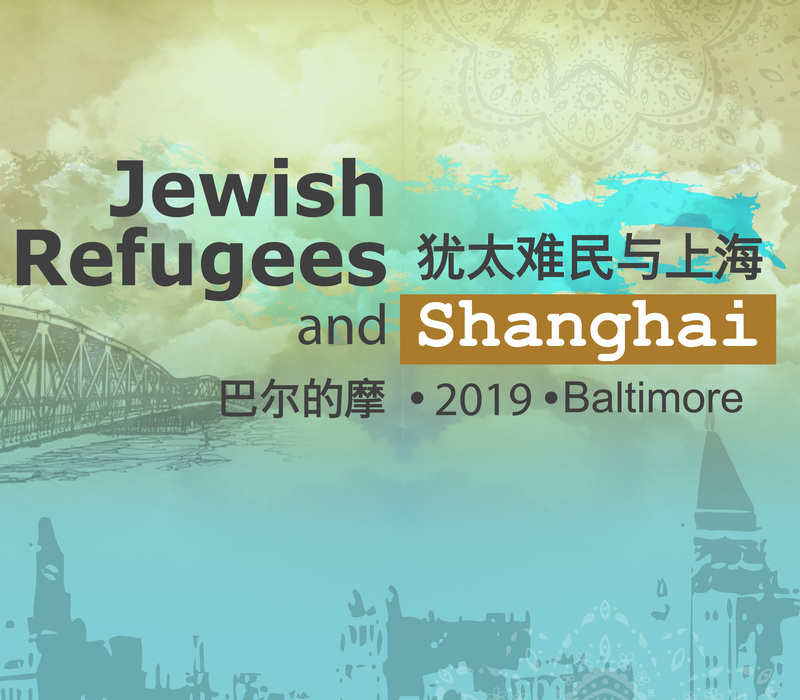 Audience members will be treated to lively stories, vibrant photos, video, and enchanting music as we celebrate the extraordinary presence of Jews in China. On April 7th, the JMM welcomes Stitching History Through the Holocaust, on loan to us from the Jewish Museum of Milwaukee (the other JMM!). The exhibit invites visitors into the story of Paul and Hedy Strnad, trapped in Prague as the Nazis close in. Desperate to get out of Prague and in fear of their own lives, the couple send Hedy’s fashion-forward designs to their cousins in Milwaukee. 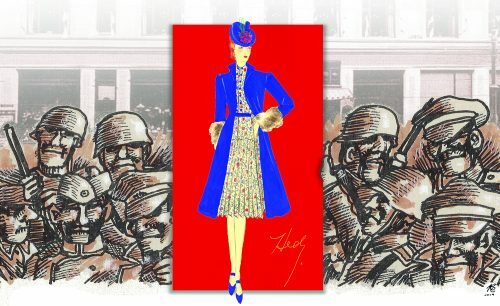 Paul and Hedy perished during the Holocaust, but their memory lives on in this exhibit that includes the letters, sketches and the dresses that were recreated from Hedy’s drawings. Concurrent with Stitching History Through the Holocaust, our staff has been busy putting together an original exhibit, Fashion Statement – that explores the messages embedded and sometime embroidered into the clothing that we wear. Our education department has been developing activities and interactives that will encourage our audiences to connect with the people and the stories of the clothing displayed in the two Exhibits. Our goals are two-fold: we hope these activities will help our visitors to be empowered to remember the Holocaust but also investigate ways clothing can convey social status, political messages and religious expression. We are developing an exciting schedule of programs to include lectures, movie screenings, and testimonies from 1st and 2nd generation survivors to help us better understand the experiences of those who lived through the Holocaust. The challenging stories you will hear in the coming months through our exhibits and programs are not easy, but they are compelling, fascinating, and necessary. We hope we see you soon. Together we can learn from our shared past to ensure the health, safety, and wholeness of the world of today and tomorrow. This month’s edition of Performance Counts comes from Deputy Director Tracie Guy-Decker. To read past editions of Performance Counts, click here. To read more posts by Tracie, click here. This January, as we say goodbye to Harry Houdini, I thought we should also take a few moments to say hello to some of the newer members of the JMM team and to acknowledge the new(ish) roles some of our number are enjoying. The newest member of our staff, Emma Glaser, is not entirely new to the JMM. Emma Glaser (pronounced GLAZE-er) interned with the JMM Education Department in the summer of 2014. Emma graduated from Smith College, and completed graduate work at the Cooperstown Graduate Program in Museum Studies at SUNY Oneonta. 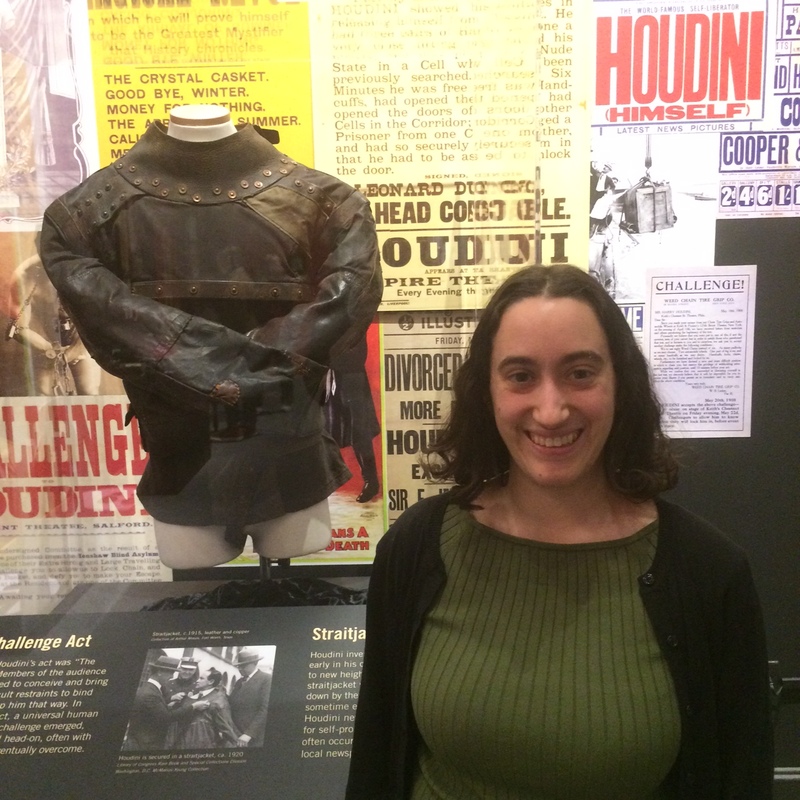 In addition to her time with us in 2014, Emma interned at the National Museum of American Jewish History. Emma started as the Program Assistant back in September. In that role, she is helping to plan and execute events and programs for students and adults. She masterfully guided JMM’s mitzvah day celebration to fruition, and has been an important addition to the JMM team. If you haven’t yet had a chance to meet Emma, please say hello next time you’re in the building. 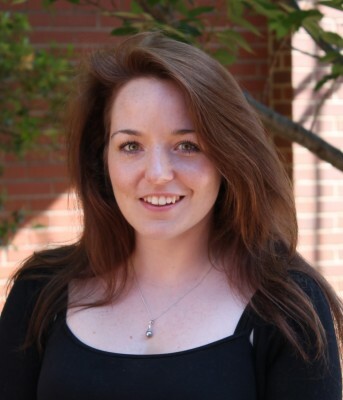 Emma’s position, Program Assistant, was made possible by the promotion of our Program Manager, Trillion Attwood. Trillion has been skillfully orchestrating our top-notch programming since 2013, though Trillion didn’t always want to be an event planner. With degrees in Egyptology, Trillion, like so many among us, is a tried-and-true Museum professional. When, in this fiscal year, we wanted to create a new position, Curatorial Assistant, to provide additional skills and support to the collections and exhibits team, we saw an opportunity to serve the Museum’s needs while providing more and different challenges for Trillion to use her skills. As of this fiscal year, Trillion is both Program Manager AND Curatorial Assistant. While her colleagues (guilty!) often forget which hat she is wearing on which day, Trillion has been splitting her time 50/50 between event planning and collections and exhibit management. She even has two email addresses! Speaking of promotions, we recently were delighted to offer a brand new position to a very capable member of our staff. If you’ve visited the JMM in the past year, you’ve met Paige Woodhouse. 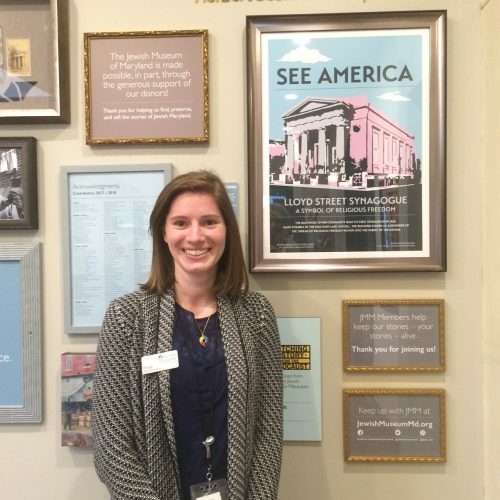 Paige has been our exceedingly talented Visitor Services Coordinator since October of 2017. In that time she has worked wonders in cleaning up our procedures and our communications channels. Everything she does she does with an air of professionalism and cheerfulness that is noticed by her colleagues and her customers alike. When, through the generosity of the Cohen Opportunity Fund of the late Suzanne Cohen (z’’l), JMM was able to create a new School Program Coordinator position, Paige decided to apply. Though she had some stiff competition from a number of highly-qualified candidates, Paige was offered and accepted the position – a promotion – and will transition into those duties as soon as we are able to find a successor for her in the Visitor Services position. This is an exciting time at JMM. In addition to our future evolution, which will have a much more visible manifestation in bricks and sticks, we are already growing and adapting. Welcoming new staff–and new responsibilities for existing staff–is an important part of the organization’s progress. Please say hello to Emma and “Mazel tov” to Paige and Trillion next time you’re in the building. And please stay in touch. These are exciting times in Jonestown. You don’t want to miss it! To read past editions of JMM insights, click here. To read other posts by Trillion Attwood, click here. 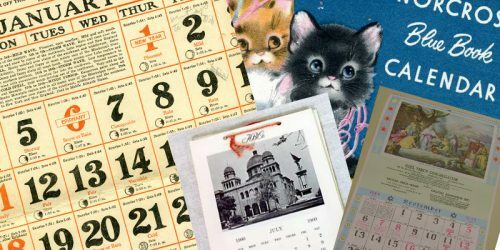 The Jewish holy days of September/October are behind us but this year (thanks in part to our exhibit Inescapable: The Life and Legacy of Harry Houdini) we’re conjuring up holiday spirits nearly every week. Below are just a few ways you can join us in celebrating holidays (secular, religious and everything in between)! This is just a small selection – for more details, check out the events page on our website. We don’t typically celebrate Halloween at the museum but with our current exhibit we couldn’t resist the opportunity. This year we will be celebrating with not one but two Halloween themed events. On Sunday October 28th we will be hosting Houdini’s’ Magical Halloween, a fun filled day for the whole family. We will learn a little magic, prepare some delicious treats and enjoy some marvelous crafts. For those wishing to learn some of Houdini’s magic we have two special workshops planned on card tricks and lockpicking. However, the highlight of the day will be two performances by Harry Houdini himself (well actually, magician David London playing Ehrich Weiss/ Harry Houdini). Our “Harry” will have a few tricks up his sleeve as he brings to life the story of the Hungarian Jewish immigrant who transformed himself into an international superstar. No ghosts or goblins but plenty of chains and lots of spirit. Then on Wednesday, October 31st we are excited to be hosting the Official Houdini Séance. Houdini died 92 years ago on Halloween and this will be the 91st consecutive Official Houdini Séance – and it’s first occurrence in Baltimore. Join us for this special evening that includes roving magician performances, expert presentations, the official séance itself, and a spectacular finale, along with wine and a light dinner (dietary laws observed). Tickets are now on sale but selling fast so reserve your seat today. This year we will also be marking Veteran’s day and the 100th anniversary of the end of World War I with a very special presentation with JMM Archivist Lorie Rombro exploring the surprising records of the 39th British Royal Fusiliers. Why does the JMM have accounts of a British military unit from WWI? 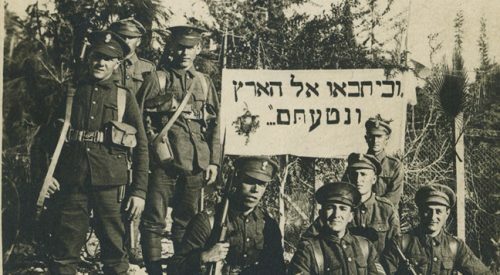 This regiment, nicknamed the Jewish Legion, was made up entirely of volunteers, most of whom were Jewish, and many of whom were recruited here in Baltimore. The Jewish Museum of Maryland is very fortunate to hold a number of items donated by the Legion’s Baltimore volunteers. In this special program we will discover how the collection can illuminate the lives of the Baltimoreans who served and the bond between them, which lasted their entire lives. And what could you be more thankful for than chocolate! On November 18, the Sunday prior to the holiday, Sheilah Kaufman, food writer and cookbook author will be presenting a History of the Jews and Chocolate with a chocolate tasting! Chocolate is the most craved food in the United States and a truly global history. In this presentation Shelia explores the history of Jews and chocolate while also imparting her expert knowledge of using chocolate in the kitchen. On December 2nd we bring you another exciting culinary championship – The Great Jewish Bake Off! 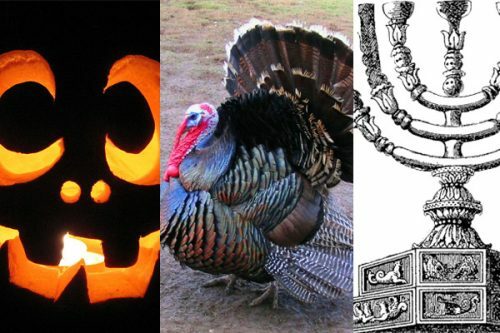 This year we take inspiration from both the seasons and Jewish culinary tradition. As the days grow shorter and the weather becomes colder, no food is more comforting than a great bake. From mandelbrot to bagels, and challah to rye we all have a favorite, almost all of which are improved with a generous schmeer of cream cheese or butter. This year we celebrate those bakes that are often, but not always, improved with a schmeer of something delicious or as we have named them schmeerables. We invite Maryland’s greatest amateur bakers from newbies to bubbies to participate in this important statewide search: The Great Jewish Bake Off of 2018! Even if you choose not to compete, we encourage you to join us at the JMM for a day dedicated to baking, with tastings, tips from professionals and the announcement of Maryland’s greatest amateur baker. We’ll also have hands-on activities for the family! For the sixth year in a row we are pleased to again celebrate Mitzvah Day on December 25th in partnership with JVC. Inspired by the life of Harry Houdini we are excited to work with the Esperanza Center. This Baltimore-based organizations mission is to welcome immigrants by offering hope, compassionate services, and the power to improve their lives. We will be working together to create backpacks filled with school supplies (and homemade stress balls!) for their students. Activities are suitable for all ages and no artistic talent is required. We are looking for donations of the school supplies listed below to help fill the backpacks. If you are unable to attend, dropping off supplies in the weeks leading up is a great way to support the program! After our Mitzvah morning, sit back and relax as we screen the TV mini-series Houdini, starring Adrien Brody. Please reach out to me directly if you have any questions about these or any of our upcoming programs at tattwood@jewishmuseummd.org. We hope to see you at the museum soon.